In 1945, future Nobel laureate George Stigler wrote an essay in the Journal of Farm Economics titled The Cost of Subsistence about a seemingly simple problem: how could a soldier be fed for as little money as possible? The “Stigler Diet” became a classic problem in the then-new field of linear optimization, which is used today in many areas of science and engineering. Any time you have a set of linear constraints such as “at least 50 square meters of solar panels” or “the amount of paint should equal the amount of primer” along with a linear goal (e.g., “minimize cost” or “maximize customers served”), that’s a linear optimization problem. At Google, our engineers work on plenty of optimization problems. One example is our YouTube video stabilization system, which uses linear optimization to eliminate the shakiness of handheld cameras. 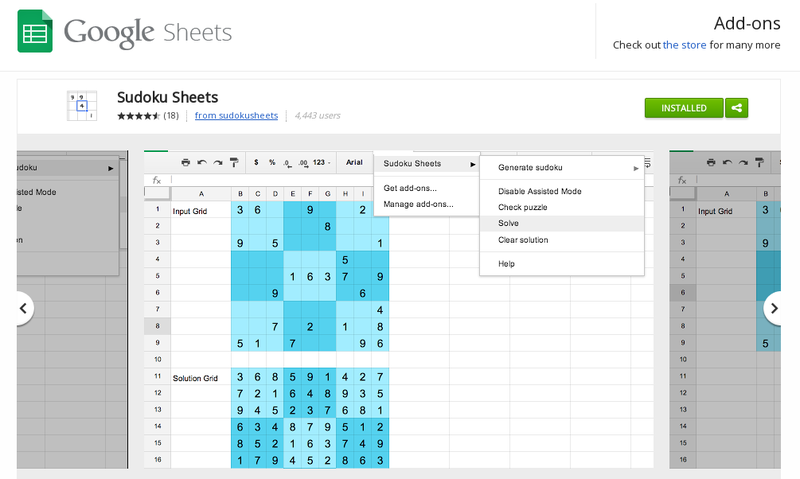 A more lighthearted example is in the Google Docs Sudoku add-on, which instantaneously generates and solves Sudoku puzzles inside a Google Sheet, using the SCIP mixed integer programming solver to compute the solution. Today we’re proud to announce two new ways for everyone to solve linear optimization problems. First, you can now solve linear optimization problems in Google Sheets with the Linear Optimization add-on written by Google Software Engineer Mihai Amarandei-Stavila. 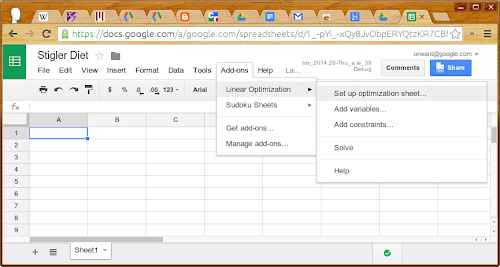 The add-on uses Google Apps Script to send optimization problems to Google servers. The solutions are displayed inside the spreadsheet. For developers who want to create their own applications on top of Google Apps, we also provide an API to let you call our linear solver directly. Stigler posed his problem as follows: given nine nutrients (calories, protein, Vitamin C, and so on) and 77 candidate foods, find the foods that could sustain soldiers at minimum cost. The Simplex algorithm for linear optimization was two years away from being invented, so Stigler had to do his best, arriving at a diet that cost $39.93 per year (in 1939 dollars), or just over ten cents per day. Even that wasn’t the cheapest diet. In 1947, Jack Laderman used Simplex, nine calculator-wielding clerks, and 120 person-days to arrive at the optimal solution. 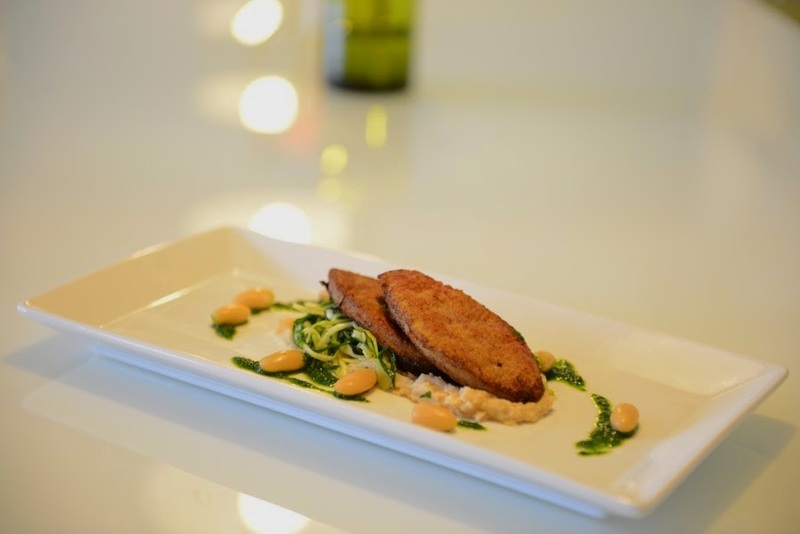 This optimal meal consists of seared calf liver dredged in flour, atop a navy bean purée with marinated cabbage and a spinach pesto. Chef Marco reported that the most difficult constraint was making the dish tasty without butter or cream. That said, I had the opportunity to taste our linear optimization solution, and it was delicious. Back in January, Google Drive launched an activity stream that shows you what actions have been taken on files and folders in your Drive. For example, if someone makes edits on a file you’ve shared with them, you’ll see a notification in your activity stream. Today, we’re introducing the new Google Apps Activity API designed to give developers programmatic access to this activity stream. This standard Google API will allow apps and extensions to access the activity history for individual Drive files as well as descendents of a folder through a RESTful interface. The Google Apps Activity API will allow developers to build new tools to help users keep better track of what’s happening to specific files and folders they care about. For example, you might use this new API to help teachers see which students in their class are editing a file or, come tax season, you might want to create a quick script to audit the sharing of items in your financial information folder. Check out the documentation at https://developers.google.com/google-apps/activity/. We can't wait to see what you build! The Admin SDK provides a comprehensive directory experience for Google for Work customers to help them meet specific business needs around data storage for customers. Here are some important updates to this SDK. Now available is a new feature in the Directory API which allows you to add custom attributes for your users. For instance, you could store the projects your users work on, their desk number, job level, hiring date — whatever makes sense for your business. Once the custom attributes for your domain have been defined, they behave just like regular fields in the user profile. You can get and set them for your users and also perform searches on custom fields (e.g. “all employees that work on the shinyNewApp in Hyderabad”). Custom attributes can be of different data types; they can be single- or multi-valued. You can configure whether they are “public” i.e. visible to everyone on the domain, or “private” i.e. visible only to admins and the users themselves. Historically, only admins have been able to access the data in the Admin SDK. Beginning today, any user (not just admins) will now be able to call the Directory API to read the profile of any user on the domain (of course, we will respect ACLing settings and profile sharing settings). We hope that you will be able to use this new feature to build business applications (e.g. corporate yellow pages, expense approval, vacation management, workflow applications, etc.) that can be used by all your users. Please feel free to go through our documentation to go learn more about the Admin SDK, and specifically the Directory API. Happy hacking! is a widget used by only a small fraction of Apps Script projects to provide a Google Drive "file open" dialog in a UI service user interface. In almost all cases, using Google Picker in HTML service is preferable and more secure. Before September 30, 2014, we require scripts using DocsListDialog to make a small update to improve security. Specifically, if you use DocsListDialog, you'll need to start calling a new method, setOAuthToken(oAuthToken) before you call showDocsPicker(). The new method sets an OAuth 2.0 token to use when fetching data for the dialog, on behalf of the user whose content should be shown. So long as the app isn't a web app set to execute as "me" (the developer), you can get the necessary OAuth 2.0 token by calling ScriptApp.getOAuthToken(). The example below shows how to convert an old DocsListDialog implementation to the new model. To ensure your script continues to work properly, be sure to make this change before September 30. DocsListDialog is a widget used by only a small fraction of Apps Script projects to provide a Google Drive "file open" dialog in a UI service user interface. In almost all cases, using Google Picker in HTML service is preferable and more secure.